Michael Ondaatje's novel is a love story and a mystery set in the turbulent new world of Toronto in the 1920s and 30s. 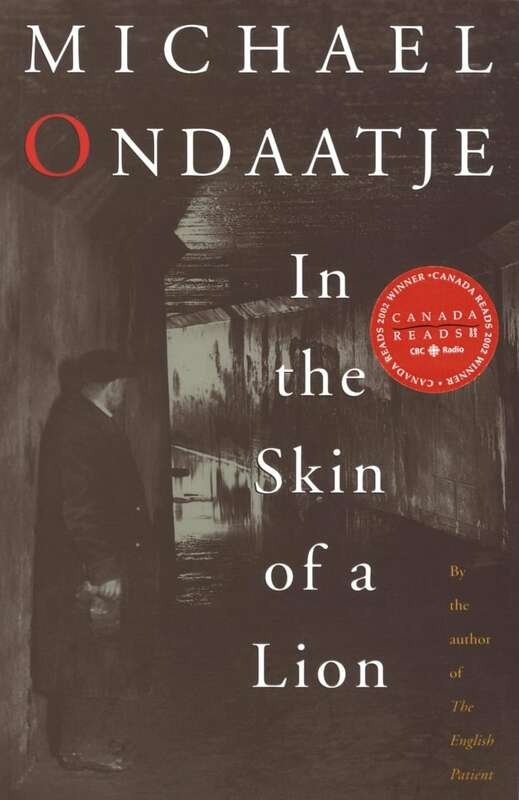 In the Skin of a Lion is a love story and an irresistible mystery set in the turbulent, muscular new world of Toronto in the 20s and 30s. Michael Ondaatje entwines adventure, romance and history, real and invented, enmeshing us in the lives of the immigrants who built the city and those who dreamed it into being: the politically powerful, the anarchists, bridge builders and tunnellers, a vanished millionaire and his mistress, a rescued nun and a thief who leads a charmed life. This is a haunting tale of passion, privilege and biting physical labour, of men and women moved by compassion and driven by the power of dreams — sometimes even to murder. In the Skin of a Lion won the first Canada Reads competition in 2002, when it was defended by Steven Page. It was also a finalist for the 1987 Governor General's Literary Award for fiction. From In the Skin of a Lion by Michael Ondaatje ©1987. Published by Vintage Canada.